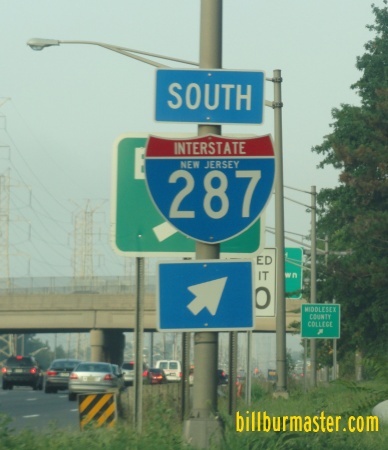 Interstate 287 is a north-south highway in Northern New Jersey. 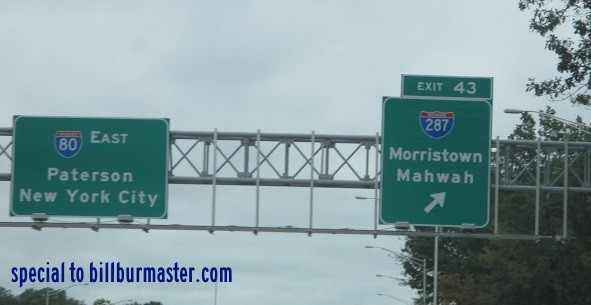 It runs from Interstate 95/New Jersey Turnpike/New Jersey State Route 440, near Edison, to the New York/New Jersey State Line, Mahwah. 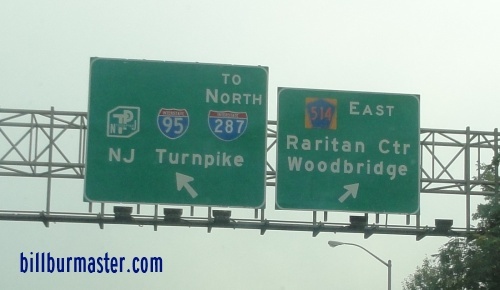 The parent highway, Interstate 87, does not enter the State of New Jersey. 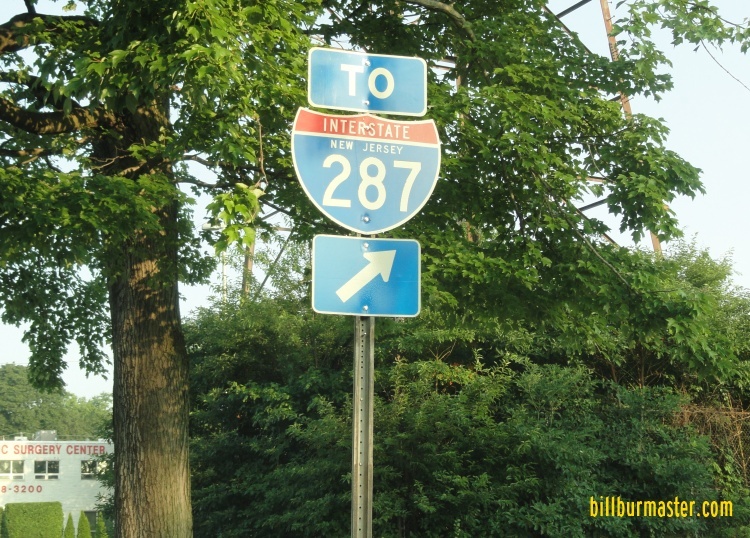 While in New Jersey, I-287 is multi-plexed. 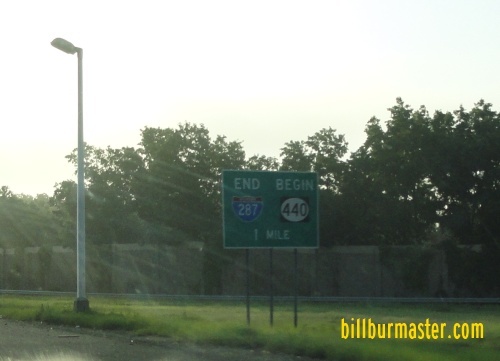 ...New Jersey State Route 17, near Mahwah. 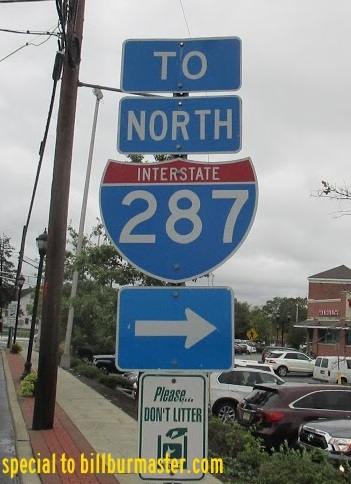 In New Jersey, Interstate 287 intersects the following highway. 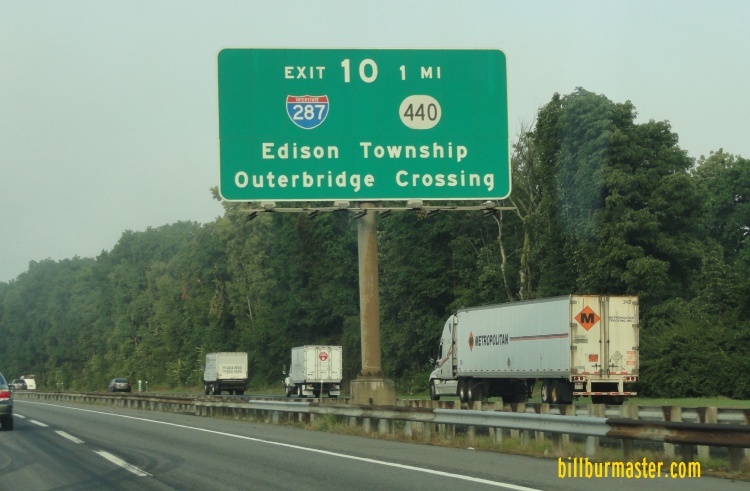 Interstate 95, (New Jersey Turnpike) at Edison. 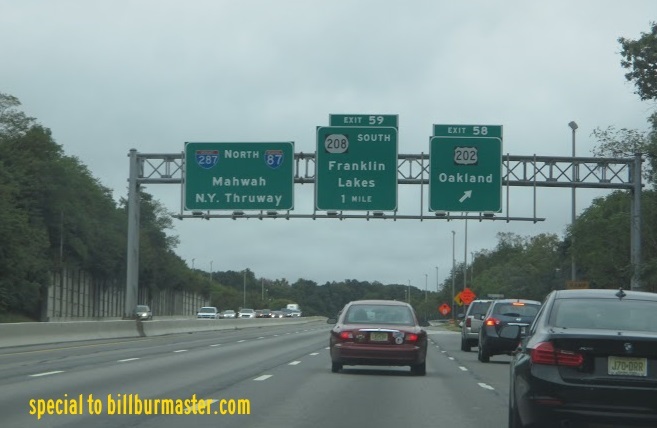 Interstate 80, near Parsippany-Troy Hills. NB I-287 at U.S. Rt. 202. 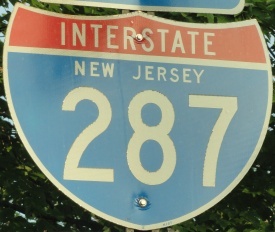 A guide marker for I-287. A BGS on the ramp from I-95/NJT. 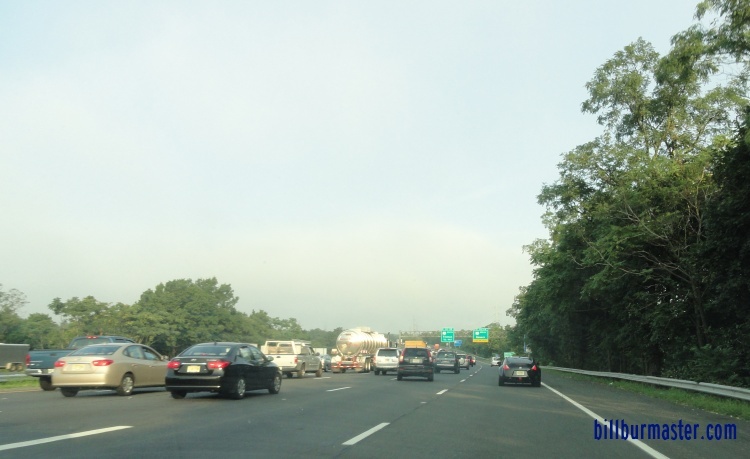 NB I-287 west of I-95. A guide marker in Edison. A guide marker on SB U.S. Rt. 1.